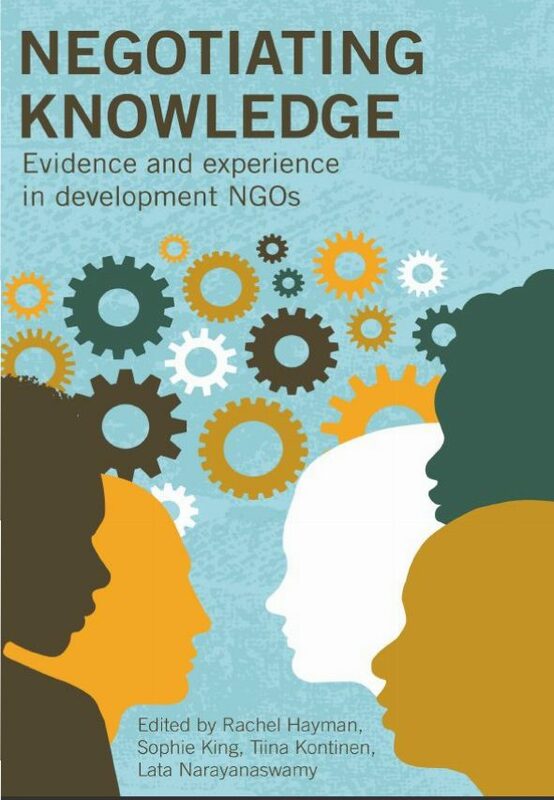 Negotiating Knowledge urges NGOs to examine how they use knowledge in order to make it work better for themselves and for the people that they aim to assist. To do this well, they have to understand better what they mean by knowledge and evidence, revisit the value that they place on learning and knowledge, and invest in appropriate capacity and skills. policy makers, as well as those researching, studying and making policy in international development. The eight studies that form the core of Negotiating Knowledge span scholarly and practitioner research across Africa, Asia and Latin America. They tackle political issues that determine what forms of evidence and knowledge are given credence. They explore the power dynamics that shape the value placed on knowledge and learning in relationships within and between organizations. This is a super book, which could not be more timely for scholars and practitioners alike in its smart but accessible analysis of “knowledge” in international development. It draws on a wealth of experience and insight to make a series of powerful interventions in debates over the nature, value and politics of development knowledges.